There is nothing more breathtaking at the end of summer than a field of sunflowers. They look so majestic while holding their heads high towards the golden sun. 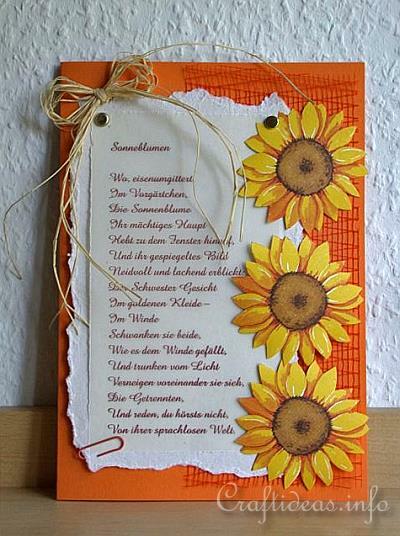 Sunflowers make also beautiful card motifs. If you know someone who loves sunflowers, then you can create this card for that person. It takes just a few minutes to complete once you have your supplies gathered. 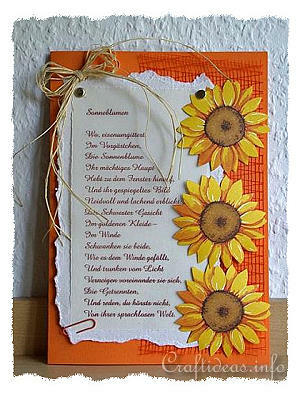 Follow the step-by-step tutorial for a sunflower card to create this card.